It is a balmy autumn morning. A lot of chores need to be done and being a Sunday, the pace of the work is relaxed. Lawn is being mowed. As the blades of the mower nibble the grass, a horde of moths, butterflies and grasshoppers emerge and take refuge in the nearby vegetation. My daughter removes the leaves from the fish pond. She seems to be enjoying her task. A welcome break after cramming for exams- an exercise so futile and monotonous. My son is digging up the Earth in the backyard. He is making pits of various sizes, filling them up and digging up some more. He claims he is making a house and is thoroughly involved and happy with his work. As the Sun climbs higher, it becomes hot. The body feels the exhaustion and we pine for cup of hot tea. 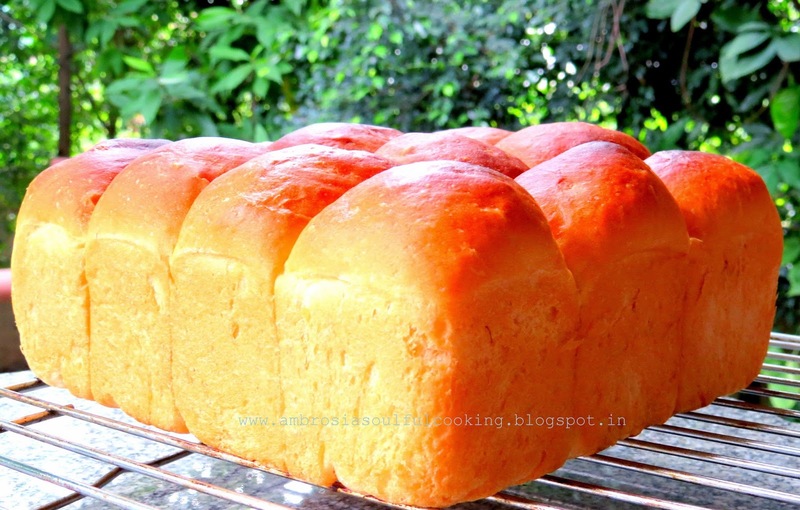 In the oven, a loaf of milk bread made last evening is ready to be sliced. 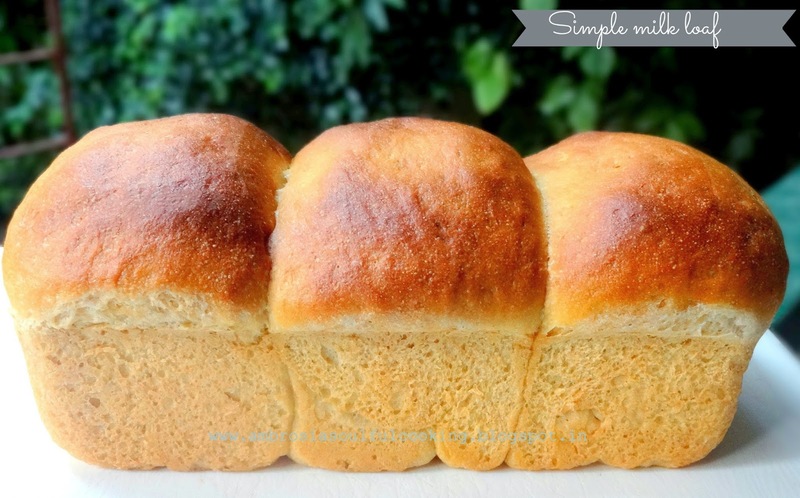 The tea is made and enjoyed with bread which is fluffy, soft and sweet. It tastes great with butter and even tastier when toasted and had with a combination of butter and jam. Place the milk and honey into a large bowl and whisk together. Whisk together flour, yeast and salt. Add this mix to milk honey mix. Mix with your hands to bring together as a soft, sticky dough. Pour over the warm melted butter and mix this into the dough with your hands, then cover the bowl and leave to stand for ten minutes. Grease your hands with olive oil. Remove the dough from the bowl to a floured counter and knead for ten seconds, then form the dough into a smooth round ball. Wipe the bowl clean and grease with olive oil, then return the dough ball to the bowl and leave for a further ten minutes. Grease one 9 x 4 ½ inch loaf tin. Divide the dough into three equal pieces, shape into three balls and place side-by-side into the loaf tin. Alternately, you can also make 12 small balls of dough and place them side by side in a 7x7 inch square cake pan. Cover with a cloth and leave to rise for one and a half hours, or until almost doubled in height. Preheat the oven to 210 degrees Centigrade. 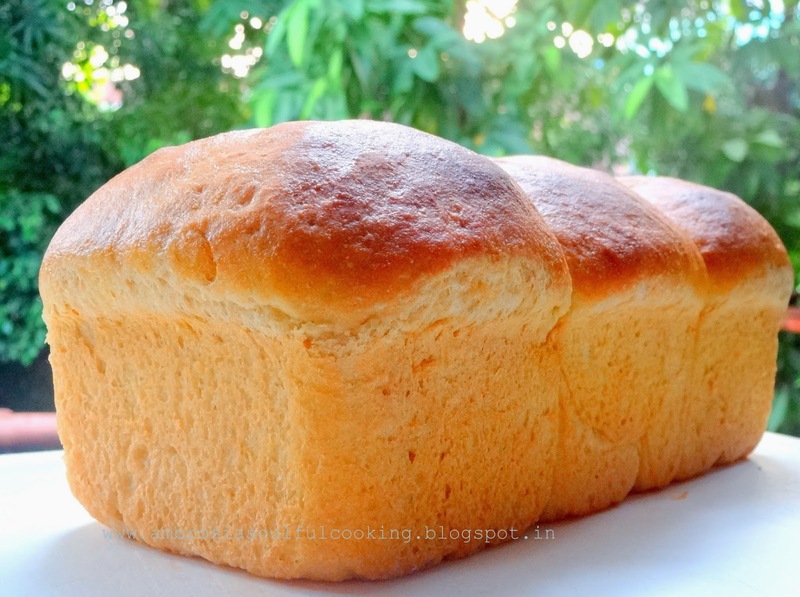 Brush the top of the loaf with a little milk and place into the preheated oven to bake for 15 minutes, then reduce the heat to 180 degrees Centigrade and bake for a further 25-30 minutes, or until the top of the loaf turns brown and the loaf has come away from the sides of the tin. Tent with a foil if the loaf turns too brown. Hi There! 210 degrees Centigrade is the temperature at which the oven is pre heated and then the bread is baked as per directions in the recipe. Please refer to the conversion calculator for conversion. Hope this helps. Thanks! 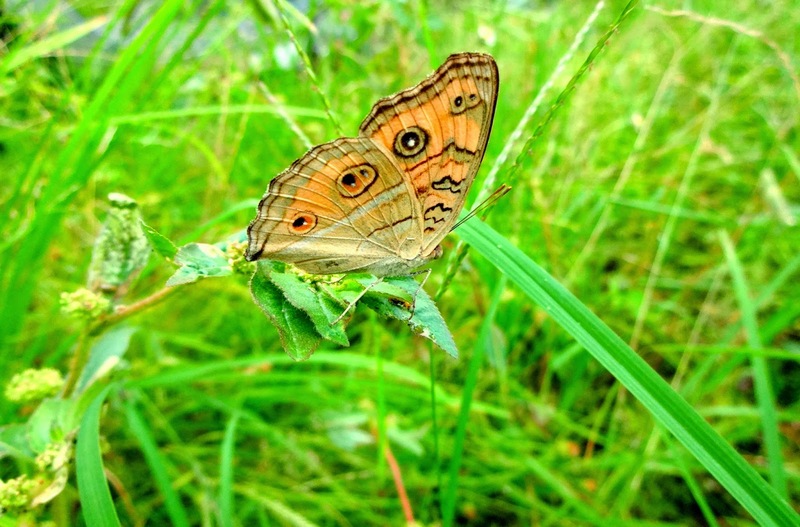 I agree with Nandita about being envious of the wonderful and 'close to nature life' that you lead. It is just so relaxing to the soul to see and read all about it. 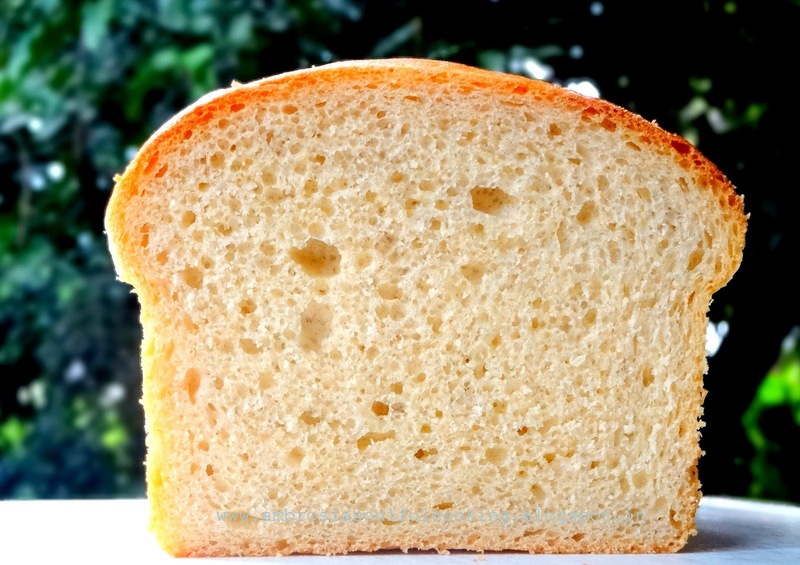 As for the loaves, they are brilliant and can match up with the finest bakery. Hello namita, I saw many of your posts and they are super. Above all that the greenery that I have seen in almost all of them is fascinating. Wish I had it around here. ..
Hellp Aps Prabhu, Thanks for visiting my blog. Yes, indeed, nature is very healing. It is an integral part of our life in the foothills. I love sharing it with others here.